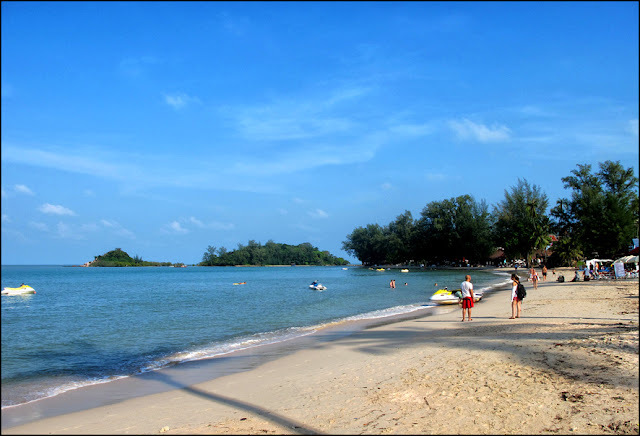 Choengmon beach is located at the north-east corner of Samui, it's a beautiful bay with a lovely sandy beach which remains quiet and the water is shallow and clean. This is a very family friendly area, with a few very nice resorts such as Sala Samui, White House, Muang Samui Villas and Suites and Imperial Boat House situated right on the beach. All the resorts there are built on the large grounds and therefore have bigger swimming pools than anywhere else on the island. Many local people also come to this beach because of the local beach restaurants providing free beach lounges and chairs which is very hard to find on Samui as most of them belong to the hotels. 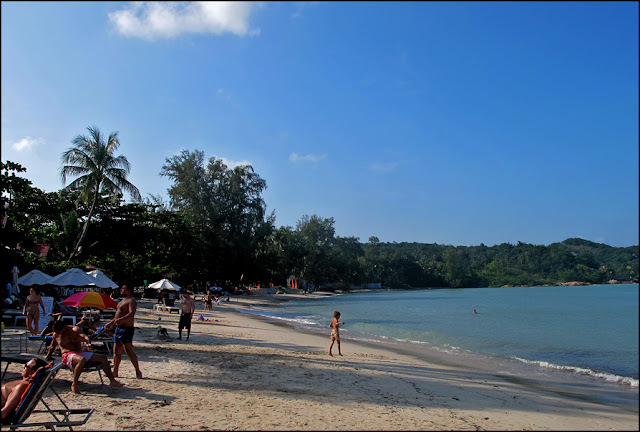 There is a very good diving shop Searobin right on the beach, a few tailor shops, massage places, a few nice beach restaurants occasionally playing live music, and some watersports such as jet-ski, banana ride, kayaks and a floating castle for kids. It is the best area for people who want to have a quiet and relaxing holiday and still be close to the busy Chaweng with its nighlife.